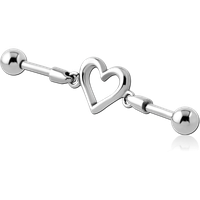 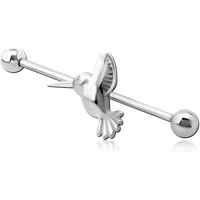 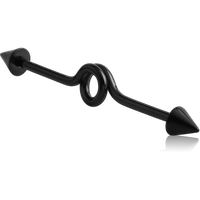 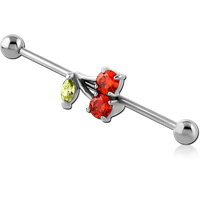 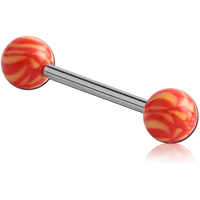 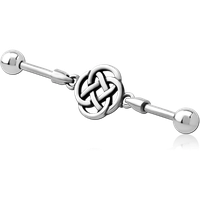 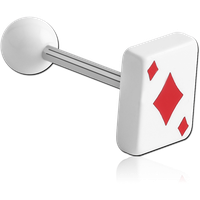 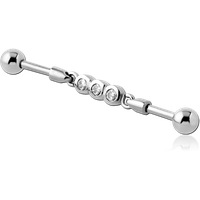 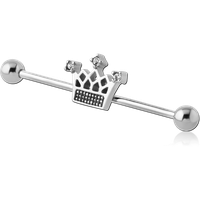 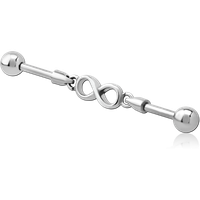 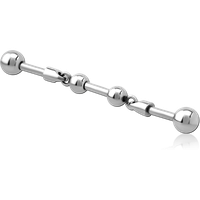 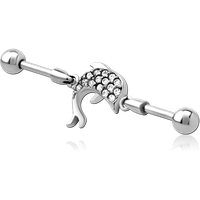 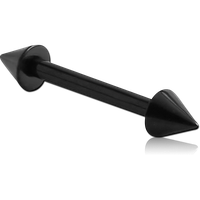 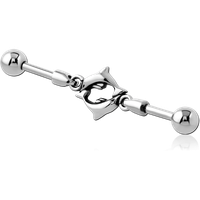 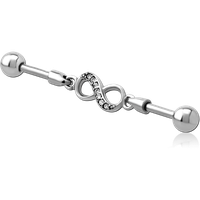 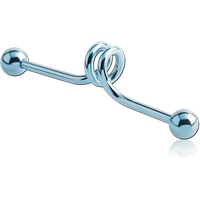 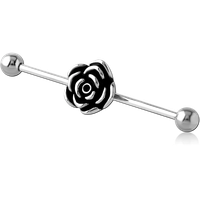 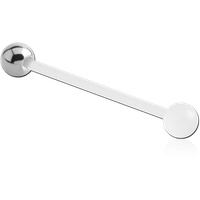 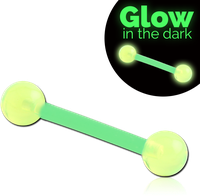 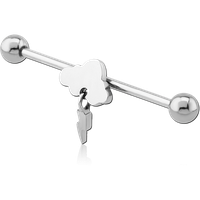 The simple barbell is beautifully versatile, with one or both balls threaded for easy removal. 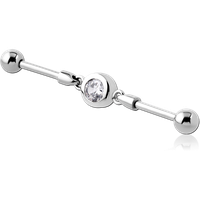 Barbell piercings can be found from eyebrows and ears, all the way down to the most intimate piercing areas! 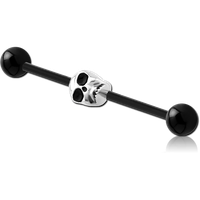 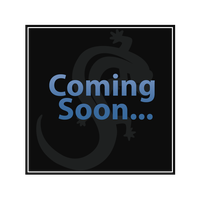 Every serious studio needs a serious selection of barbells, and we provide a diverse range to cater to any style, size or body piercing location. 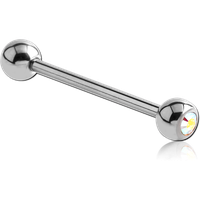 Tongue piercings are incredibly popular, being ornamental, concealable and even practical, Whether a barbell piercing or a tongue ring is desired, the barbell is normally preferred for the initial piercing. 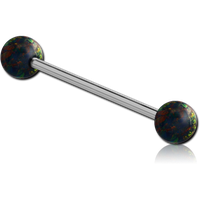 After healing the wearer is only limited by their imagination, and we provide an extensive range of sizes, colors, and styles to fit any taste: tongue rings, balls with carbon fiber, glitter, mother of pearl, charmed tongue studs, enamel tongue piercings, industrial barbells, Micro Barbells, retainers and much more.